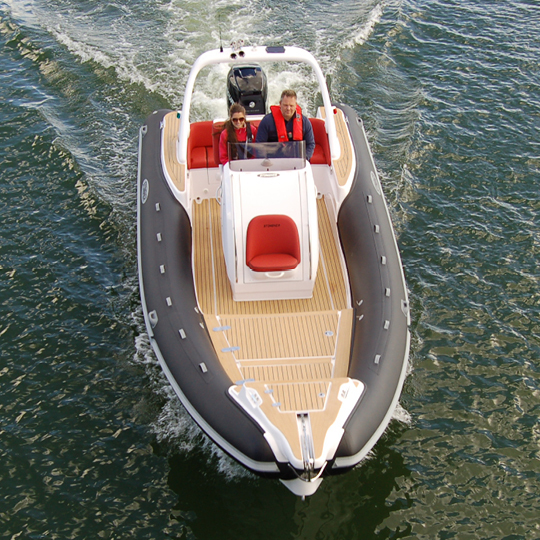 The latest creation in the Stingher range is the long awaited 9.0m cabin RIB. This beautiful craft was two years in the making from design to launch. The build quality is superb and the standard equipment second to none. 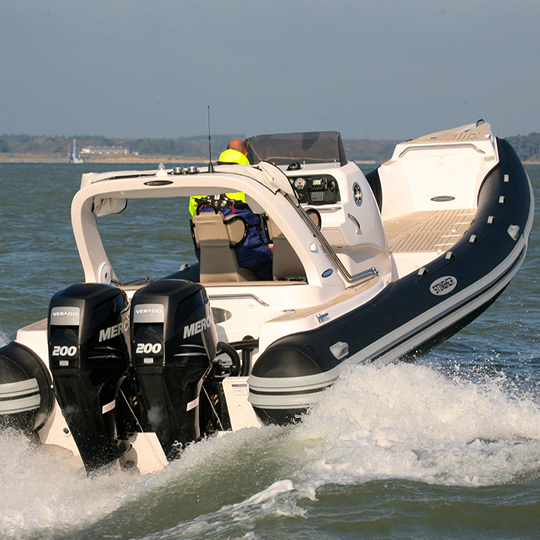 This really is a weekend RIB, giving you the optimum passenger comfort, and flexibility. The cabin has a seating area which converts into 2-3 berths. There is a full height shower and sea toilet fitted in the corner unit, along with loads of storage space underneath the beds. The cabin is fitted with a stereo head set that incorporates an IPod player. The door into the cabin from the deck is tinted and fully lockable. The rear deck has a horseshoe shaped seating area for 6 people around a central dining table that is stow able when not in use. Fitted in the helm unit is an electric fridge, gas cooker, and sink with electric pumped water. The double helm seat is offset to starboard which allows for a central driving position for the helmsman. The console dash is designed to give you an uncluttered view of your navigational equipment. Forward of the helm is the front sundeck complete with cushions and stainless steel fenders rails down each side. 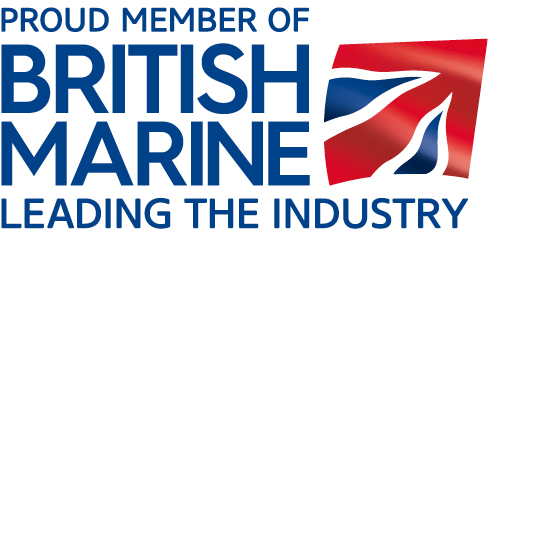 For ease of mooring this RIB is fitted with an electric windlass with stainless steel anchor. Complete with a 330 litre fuel tank, bathing platform with ladders, rear shower, LED deck lights and engine bay lights, and a shore power option this really is a fully fitted out Cabin RIB. You have the option of single or twin engine installation with a top speed of approx 48 knots and cruising at 35 knots depending on engine choice. Take Ribbing to the next stage with the New Stingher 9.0m Cabin rib.